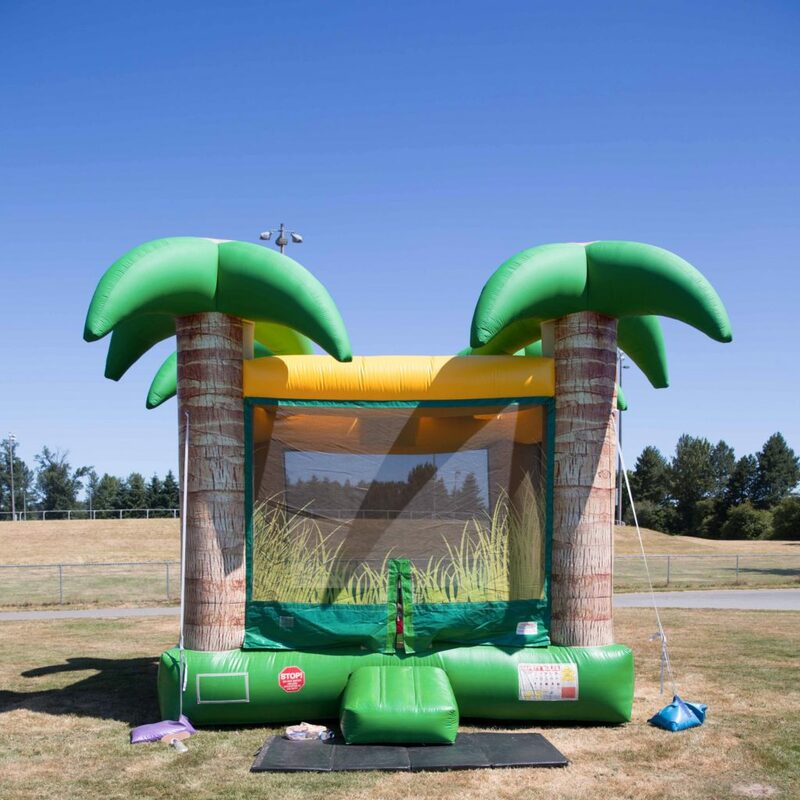 The Palm Tree Bouncer is a classic style bounce house perfect for beach themed parties or events in the Seattle area. Its large size and safety netting make this bouncer a must have at any birthday party, church fair, school carnival or corporate event in Seattle. Your guests can bounce away under the shade of four huge palm trees! This rental is perfect for a smaller party, yet big enough to handle an all-out bash!